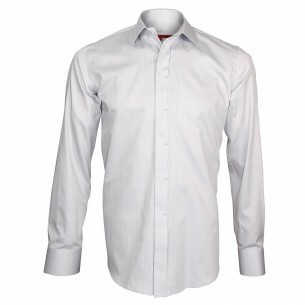 The collared shirt is not the most common, nor the most widespread. 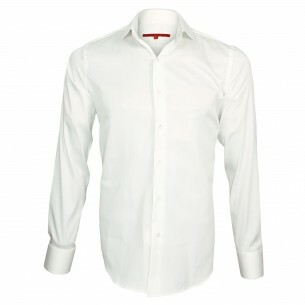 In fact, it is a very dressed shirt whose use is somewhat codified. It is only worn during major events and ceremonies. Generally under a tuxedo and always with a bow tie. Indeed, the collar of the collared shirt is shaped to accommodate a bow tie. It is therefore not every day that one is called to put on a shirt with a broken collar. However, any good male wardrobe can not do without. That's why, at ChemiseWeb.com we offer you some models of broken collar shirt, so that you are ready to face every eventuality! 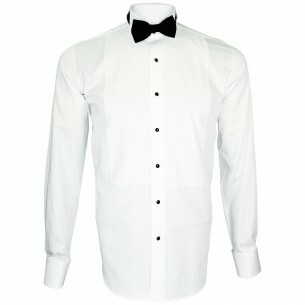 Traditionally white worn with a black bow tie on a tuxedo, the shirt collar broken is the dress shirt par excellence. Masters of ceremonies, conductors and even 007 all adopted. If you have a New Year's Eve party or an outing at the opera or casino, the broken shirt collar and bow tie are the perfect accessories for your outfit. The shirt collar broken come back in fashion for weddings and more particularly in its version with breastplate. Often decorated with a bow tie it is not unusual to see it worn with a colored lavalliere under a clear suit. So surf the trend and offer yourself a collared shirt with a breastplate for an unforgettable moment.